The mechanism by which landlords receive tax relief for interest and other finance costs is changing from April 2017 … and not for the better. The current rules are more generous than the new rules in that they enable the landlord to receive tax relief at his or her marginal rate of tax. By contrast, the new rules - which are being phased in - will, when fully implemented, provide relief only at the basic rate. Further, relief will be given as an income tax reduction rather than as a deduction from rental income when computing taxable profits. 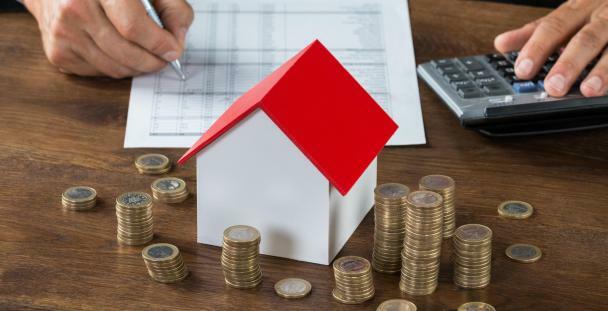 Current rules Under the existing rules, interest and other finance costs, such as fees for arranging a mortgage or loan, are deducted as an expense when working out taxable profits. Example John has two properties which he lets out. In 2016/17, he pays mortgage interest of £10,000 on mortgages taken out to buy the properties. He receives rental income of £18,000 in the year and incurs other allowable expenses of £2,000. The properties are investment properties. John is employed as an IT consultant and in 2016/17 he receives a salary of £70,000. He is a higher rate taxpayer. For 2016/17 he can deduct the mortgage interest, along with the other expenses, to arrive at a taxable profit of £6,000. Thus, he obtains relief for the mortgage interest at his marginal rate of tax of 40% - thereby reducing his tax bill by £4,000. Looking ahead Relief for finance costs is to be gradually restricted from 2017/18 onwards, although the restriction only applies in relation to residential properties. It does not affect commercial lets. The restriction is to be phased in from April 2017 and will be fully in place from the 2020/21 tax year. In the transitional period, some relief will be given as for the current rules as a deduction in computing profits and relief for the remainder will be given as a basic rate tax deduction. For 2017/18, relief for 75% of the allowable interest and other finance costs will be deductible from rental income and relief for the remaining 25% will be given as a basic rate tax deduction. For 2018/19, relief for 50% of the allowable interest and other finance costs will be given as a deduction from rental income and the relief for the remaining 50% as a basic rate tax. For 2019/20, relief for 25% of the allowable interest and other finance costs will be given as a deduction from rental income and relief for the remaining 25% will be given as a basic rate tax deduction. From 2020/21, relief for all allowable interest and finance costs will be given as a basic rate tax reduction. Based on the facts in the above example, once the restriction is fully implemented, John will receive relief for his mortgage interest costs as a reduction in his tax bill of £2,000 (assuming a basic rate tax of 20%). The change in the rules will ultimately cost him £2,000 a year compared to the current position. The current rules are more generous than the new rules, and where costs can be brought forward to 2016/17 rather than 2017/18, this can be potentially advantageous to higher and additional rate taxpayers. For more information on the above please contact a member of our team. If you would like to find out how Pointon Young can help you grow your business and save you money, fill in a TRUSTquestionnaire. 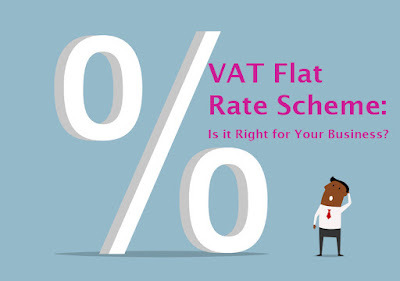 VAT Flat rate scheme – is it for me? The VAT flat rate scheme is an optional simplified accounting scheme for small businesses. The scheme is available to businesses that are eligible to be registered for VAT and whose taxable turnover (excluding VAT) in the next year will be £150,000 or less. Once in the scheme, a business can remain in it as long as its taxable turnover for the current year is not more than £230,000. The flat rate scheme is designed to simplify the recording of sales and purchases. Under the scheme, a business works out the VAT that it is required to pay over to HMRC by applying a flat rate percentage to its gross (VAT-inclusive) turnover. The flat rate percentage depends on the type of business. The percentages for each business sector can be found on the gov.uk website at www.gov.uk/vat-flat-rate-scheme/how-much-you-pay. The percentages are all less than the standard rate of VAT of 20%, reflecting the VAT that would be recovered on purchases. Example Jack is registered for the flat rate scheme. In a particular accounting period his turnover is £12,000. The flat rate percentage for his sector is 14%. Jack must pay VAT of £1,680 (14% of £12,000) over to HMRC. He does not need to work out the VAT on purchases. Advantages The main advantage is that it reduces the record keeping burden, as it is not necessary to keep records of the VAT incurred on purchases. As the VAT percentages are averages it is possible that the business may pay less VAT than accounting for VAT under the traditional rules, particularly if purchases are low. However, the business may also pay more if purchases are higher than average – you may need to do the maths to see if it is for you. Businesses also enjoy a discount of 1% from their flat rate percentage during their first year in the scheme. Limited cost businesses From 1 April 2017, a new flat rate percentage of 16.5% applies to a `limited cost business’. This is one whose VAT inclusive expenditure on goods is either less than 2% of their VAT inclusive expenditure in a prescribed accounting period or greater than 2% but less than £1,000 if their prescribed accounting period is one year. The figure of £1,000 is adjusted accordingly for periods that are not one year. In determining whether this test is met, capital expenditure, food and drink for consumption by the flat rate business or its employees, and vehicle, vehicle parts and fuel (except where the business is one that carries out transport services) are excluded from the calculation. However, a business with a VAT inclusive turnover of £20,000 in an accounting period would only need to incur expenditure of £400 or more to fall outside the definition of a limited cost business – for most businesses this will be doable, even taking account of the exclusions. For more information on the above please contact a member of our team. If you would like to find out how Pointon Young can help you grow your business and save you money, fill in a TRUST questionnaire. In his 2016 Budget speech, the Chancellor announced two new allowances would be introduced from April 2017 for money earned from `the sharing economy’. One allowance will be for trading income and the other for property income. Trading income allowance: A new allowance of £1,000 will be available for people who make money from selling goods or providing services. Under current rules, small amounts of trading income, for example from undertaking occasional jobs or selling goods on eBay must be declared to HMRC and, to the extent that the income is not covered by the personal allowance, the income is taxable. However, once the new allowance is introduced from April 2017, income from trading which is covered by the new allowance will not need to be declared to HMRC and can be enjoyed tax-free. Where trading income exceeds £1,000, traders will have the option of working out their taxable profit in the usual way by deducting expenses from income, or instead they can choose to deduct the allowance (rather than actual expenses) from their gross income. This will be beneficial where expenses are less than £1,000 a year or where the trader wishes to avoid the hassle and expense of recording expenses. Example 1 Holly is employed in an office, in respect of which she earns £15,000 a year. She also sells cupcakes locally, from which she makes £800 a year. In 2016/17 she will need to declare the income from her cupcake business on the self-employed pages of her tax return and pay tax on the profit. However, as a result of the introduction of the new trading allowance for 2017/18, she will no longer need to tell HMRC about her income as it is fully covered by the £1,000 allowance. She will no longer need to pay tax on the income. Example 2 Beth has a small business selling knitted toys on e-bay. Her income is £3,000 a year and her expenses are £750. Although she will need to declare the income on the self-employed pages of her tax return for both 2016/17 and 2017/18, for 2016/17 her taxable profit will be £2,250 (£3,000 less expenses of £750). For 2017/18, she can instead choose to deduct the new allowance of £1,000 from her income rather than the actual expenses. This will give her a lower profit figure of £2,000, saving her time and tax. Property allowance The second allowance to be introduced from April 2017 is in respect of income from property. It will also be set at £1,000 and will allow people to receive small amounts of property income tax free. 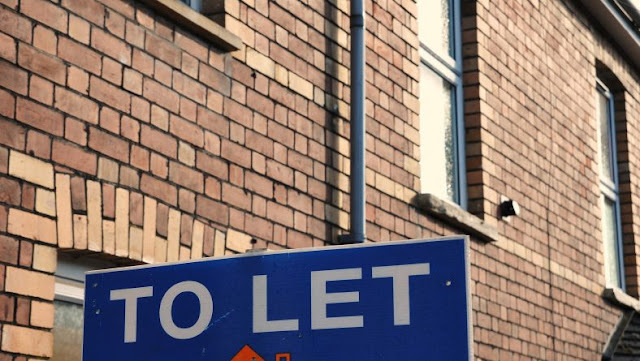 This will mean that people who earn less than £1,000 from, say, renting out their driveway or offering storage in their loft, will no longer need to tell HMRC about this income or pay tax on it. Where income is in excess of £1,000, taxpayers will have the option of computing their profit in the usual way (income from property less associated expenses) or by deducting the allowance from their gross income. As with the trading allowance, this will be beneficial if actual expenses are less than £1,000. The new allowance does not affect the option of receiving income from letting a room in your house tax-free under the rent-a-room scheme. Need to know: Where trading or property income is less than £1,000, it will no longer need to be declared to HMRC from 6 April 2016. For more information on the above please contact a member of our team. If you would like to find out how Pointon Young can help you grow your business and save you money through tax minimization, fill out a TRUST questionnaire and you will receive a FREE tailored report highlighting the areas that need your attention. It is possible for a business to set the full cost of a car against profits in the year of the purchase if the car is a low emissions car that qualifies for the first-year allowance. A 100% first-year allowance is available in respect of cars that meet the definition of a `low emission car’ for capital allowances purposes. To qualify, the expenditure must be incurred before 31 March 2021 – the deadline was recently extended by three years. To be a qualifying low emission car, the car must satisfy certain conditions. A low emission car is one that is either electrically propelled or one in respect of which the CO2 emissions are below the level specified in the legislation. This is set at 75g/km where the expenditure is incurred on or after 1 April 2015 and before 1 April 2018. The threshold is reduced to 50g/km for expenditure incurred on or after 1 April 2018 and before 1 April 2021. Further, first-year allowances are only available for expenditure on new and unused low-emission cars. Expenditure on second-hand cars does not qualify for the first-year allowances, although writing down allowances are available. Likewise, new cars with emissions above the threshold are not eligible for the first-year allowance, although writing down allowances (at 18% or 9% depending on the emissions level) can be claimed. 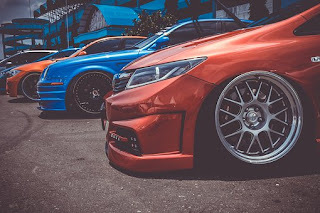 Private use Where the car is used for both business and private use, the first-year allowance must be reduced proportionately to reflect the private use. Example Jed is a sole trader. He buys a new low emission car with emissions of 60g/km, which costs him £16,000. He uses the car 80% for business and 20% for private. He claims a 100% first-year allowance. The allowance is proportionately reduced to reflect the private use. The allowance available to set against profits is therefore £12,800 (80% of £16,000). Not mandatory It is not mandatory to claim a first year allowance for a car which qualifies. It may be beneficial not to claim where claiming the full allowance would otherwise create a loss or waste personal allowances. It is also possible to tailor the claim to suit the taxpayer’s circumstances. Writing down allowances can be claimed for any expenditure not relieved by means of a first-year allowance. Electric charge points As announced in the 2016 Autumn Statement, expenditure incurred on or after 23 November 2016 and on or before 31 March 2019 (corporation tax) or 5 April 2019 (income tax) on electric charge points will also qualify for a 100% first-year allowance. For more information on the above please contact a member of our team. If you would like to find out how Pointon Young can help you grow your business and save you money, fill in a TRUST questionnaire. 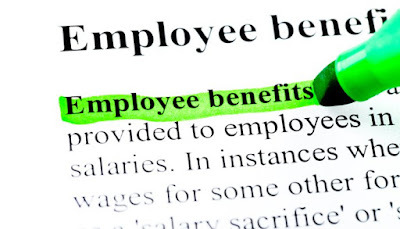 Most benefits in kind are taxable and the employee is taxed on the cash equivalent of the value of that benefit. Where the employee is required to make a payment to the employer in return for the provision of the benefit and actually does so, the cash equivalent of the benefit is reduced by the amount `made good’ by the employee. Making good allows the employee to reduce or eliminate the tax charge. Example Harry’s employer provides private medical insurance for Harry and his family. The cost to the employer is £500 a year. Harry is required to make a contribution of £200, which he does. By `making good’ £200 of the cost, the cash equivalent of the benefit on which tax is charged is reduced from £500 to £300. Where the benefit in question is fuel for a company car, the amount made good by the employee can be computed using the advisory fuel rates. Example Helen has a company car. The car is a petrol car, which for 2016/17 has an appropriate percentage of 22%. Helen’s employer pays for all fuel for the car, but Helen is required to make good the cost of fuel for private motoring. In the year, Helen drives 10,000 private miles. Assuming the advisory fuel rate for her 1600 cc car is 14p per mile and Helen pays her employer £1,400 in respect of her private mileage, she will be regarded as having made good the cost of her private fuel. Consequently, the tax charge is reduced to nil. Time for making good Earlier in the year the Government consulted on the deadline by which the employee must make good in order to reduce or eliminate the tax charge that would arise on the benefit in kind. At the time of the 2016 Autumn Statement, it was announced that from 2017/18 the making good deadline for all benefits will be set at 6 July after the end of the tax year in which the benefit was provided. Previously, different dates applied to different benefits, with a deadline of the end of the tax year in which the benefit was provided applying to many. Better to pay the tax When thinking about whether to `make good’ to reduce the tax, remember that as the tax rate is less than 100%, you will always be better off paying the tax than making good. A higher rate taxpayer will only save £40 in tax for every £100 `made good’ – better to pay the £40 tax and keep the remaining £60. For more information on the above please contact a member of our team. If you would like to find out how Pointon Young can help you grow your business and save you money, fill in a TRUST questionnaire. Company cars are a popular benefit and are often something of a status symbol. But, they have also been an easy target for the taxman. Where a company car is available for private use, the employee is taxed on the associated benefit that this provides. The amount that is charged to tax – the cash equivalent value – depends on the list price of the car and the appropriate percentage. The list price is essentially the manufacturer’s price when new. This remains the reference point by which the tax charge is calculated – it does not matter how much was actually paid for the car, whether it was bought second-hand or that cars tend to depreciate rapidly. The appropriate percentage – the percentage of the list price charged to tax – depends on the car’s CO2 emissions. Adjustments are made when calculating the cash equivalent to reflect the periods when the car was unavailable, capital contributions and contributions to private use. Appropriate percentage Linking the appropriate percentage to the CO2 emissions has the effect of rewarding those who choose lower emission cars. However, it also provides the Government with an easy mechanism for increasing the tax charge year on year by making the emissions criteria stricter. The appropriate percentage is set for a year for the relevant threshold (95g/km). For 2017/18, the appropriate percentage for a car with CO2 emissions of 95g/km is 18% - For 2017/18, it was 16%. Thereafter, the appropriate percentage is increased by 1% for every 5g/km by which the CO2 emissions exceed the relevant threshold, to a maximum of 37%. Diesel cars attract a 3% supplement on top of what the relevant percentage is; however, the over percentage is capped at 37%. Increasing the appropriate percentage each year means that a company car driver will pay more tax in 2017/18 than in 2016/17 on the same car, despite the fact it is a year older, has higher mileage and will have generally depreciated. Example Max has a company car. It has CO2 emissions of 120g/km. The car cost £30,000 when new. Max is a higher rate taxpayer. In 2016/17, the appropriate percentage was 21% and in 2017/18 it was 23%. This means that the cash equivalent value of the benefit has increased from £6,300 for 2016/17 to £6,900 for 2017/18 and the associated tax bill has increased from £2,520 to £2,760 – an increase of £240. Fuel A separate charge applies where fuel is provided for private motoring in a company car. The amount taxed is the appropriate percentage as determined for the purposes of the tax charge on the car multiplied by the multiplier for the year, set at £22,600 for 2017/18. In the above example, if Max were to receive fuel for private journeys, he would be taxed on a benefit of £5,198 – a further tax bill of £2,079.20. Unless private mileage is very high, employer-provided fuel is rarely an efficient benefit. Practical tip – Choosing a cheaper low emission company car will minimise the associated tax charge. The cash basis is a simpler way for smaller businesses to work out their taxable profit. Under the cash basis, profit is calculated by reference to cash in and cash out, rather than by reference to income earned in the period and expenditure incurred, as is the case under the traditional accruals basis. Prior to 6 April 2017, the cash basis was only open to sole traders and unincorporated businesses with a turnover below the VAT registration threshold (which was set at £83,000 from 1 April 2016 and increased to £85,000 from 1 April 2017). However, in preparation for the introduction of Making Tax Digital, under which businesses will be required to maintain records digitally and to provide digital updates to HMRC quarterly, the cash basis threshold has been increased. Availability of the cash basis is also extended to unincorporated landlords from 2017/18 onwards. New look cash basis From 6 April 2017, the entry threshold for the cash basis is increased to £150,000. Once using the cash basis, businesses can remain in it until their turnover exceeds the exit threshold, set at double the entry threshold. Thus, the exit threshold is £300,000 from 6 April 2017. From 6 April 2017, the cash basis also becomes the default accounting basis for unincorporated businesses with rental income of £150,000 or less. Such businesses can still use the accrual basis if they prefer – but will need to elect to do so. Capital expenditure Simplified rules for treating capital expenditure under the cash basis are also introduced from 6 April 2017. Instead of the general prohibition on capital expenditure that applied prior to that date, the new rules only prohibit the deduction of certain items, namely: · capital items incurred in connection with the acquisition or disposal of a business or part of a business; · any asset not acquired or created for use on a continuing basis in the trade; · a car; · land; · certain intangible assets, including education or training; and · financial assets. Capital expenditure that does not fall into the above categories can be deducted as for revenue expenditure. Is it for me? 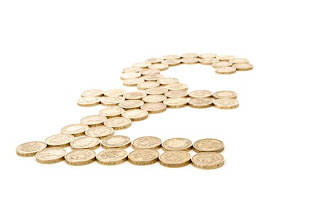 The cash basis will suit many small businesses, but it is not for all businesses. This may be the case if the business has high stock levels or has losses that would be beneficial to offset against other businesses. On the plus side, tax is only payable on money that has actually been received by the year end.